While the title might indicate a remarkable grasp of the obvious with respect to the seasons, it’s a nod to a Barbra Streisand song that’s been stuck in my head today. It’s off her “People” album (coincidentally, 50 years old this year). I hadn’t heard the song or the album in…46 (?) years. It’s not one of her big hits, but somehow, it stuck in the brain of a three year old. (My mother used to play Sinatra’s “September Of My Years” non-stop until I was as depressed as Frank. She admitted to feeling self-pity over turning 30. Yeah, 30. When I got her the CD, I did so with the proviso that she was never to play it in my presence. This condition pissed her off, but then, her self-pity wasn’t a barrel of monkeys for a 5 year old). She’s singing of a lost love, not something on my mind. 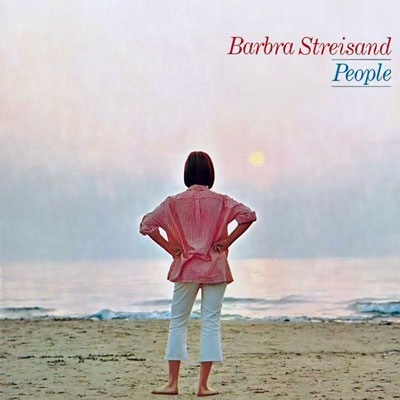 In my own bout of self-pity, the lines resonate, and well, if Barbra doesn’t resonate, I can always go Jay Z and “99 Problems” because a bro ain’t one of ’em. The calendar reminds me that I am at the end of a particular piece if good fortune: when I needed a place it live in a hurry, the current roof over my head was offered to me, free of charge, within 24 hours, and I’ve even gotten a 2 week extension on my presence here. However, time’s up. And I need another such miracle. I found a job in January when my unemployment benefits ran out. It paid poorly and the hours were irregular, but I couldn’t find anything in my usual, much higher-paying field. And 10 months later, I still haven’t. My boss made a dumbass comment the other day when I said something about how closely everything has to be budgeted, including and especially how much gas I use to get to work. I looked him in the eye and told him, “$9.50 an hour doesn’t go very far, even at 40 hours.” He didn’t have a comeback. Progress I had made at improving my credit has been undone by this situation. Word to the wise: it takes ages, a dispensation from the Vatican, and the intervention of Seal Team 6 to raise your credit score, but that sucker WILL fall by 60 points overnight if you miss credit card payments. It’s a rigged game. Know this as you play. I am a strong person; given the trajectory of my life, it’s been a necessity. There are times, though, when even the strongest collapse from the weights on their shoulders. Although one of my friends, who is a world-class psychic, has assured me that things will come through in “the eleventh hour,” in my mind, it’s 11:45 and the clock is running. “I am where I need to be” has applied, in a literal sense, to my job of test driving cars and making sure I’m in the right lanes to stay on my route or avoid a blocked lane. It has applied, also in a literal sense, to my housing, as I am in a place that matches the homes I’ve daydreamed of buying/renting (so I know it exists) and at an affordable rate. It’s been quiet, beautiful with flowers and fruit and hummingbirds to delight. I’ve felt safe, secure, and until this week, at peace. “It’s autumn” also refers to the time of my life. I’m over 50. While I have skills, education, and experience (not to mention a pretty solid reputation) to land a good job in due diligence and mortgage banking,…no one’s biting on the resumes I’ve sent this summer. I try to tune out the Facebook news feed items that talk about “50 is the new 65 when it comes to hiring.” I have friends older than me who are getting hired, but they have skills and connections I lack. I’m feeling a chill. Social Security is years away, and I (like millions of other Americans) don’t have retirement savings. They’ve been lived on. I want to believe that miracles can happen at any time. Right now would be a good time.